Thermite Core – New ability: pay 2 attack to construct 2 Pixies. Lifespan reduced from 8 to 5. This was the change from our April Fool’s batch that was planned as a part of our actual balance patch. However, after some further playtesting, we decided to reduce the unit’s lifespan to prevent excessive piles of Pixies from building up. This is a huge buff to Thermite Core (which was indeed the most requested unit for a buff), so watch out! Asteri Cannon: HP increased from 14 to 16. This was the second most-requested unit for a buff. While the old Asteri Cannon was playable in plenty of situations, many players we spoke with felt that GGGG units should be just a tiny bit more impactful. 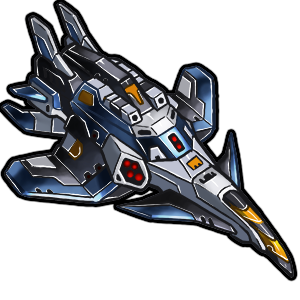 The buff allows Asteri Cannon to be clicked a fifth time for a defensive Barrier, and also increases the unit’s survivability in breachproof situations. Blood Pact: Now spawns an enemy Grimbotch with lifespan 3 instead of lifespan 4. Blood Pact was an extremely situational unit that was often only bought in rushy situations, or against an opponent pursuing a breachproof strategy. We wanted to increase the viability of the unit in midgame defensive situations where a player might simply want some prompt granularity. Lowering the lifespan of the enemy Grimbotch accomplishes this without making it much stronger in endgame or breachproof scenarios, and we enjoyed this new Blood Pact quite a bit in our test games. Tantalum Ray: Now costs 3HP per click instead of 2HP per click. Maximum HP increased from 9 to 11. Many players asked us to nerf Tantalum Ray, as they found that the strategy of simply building as many Tantalum Rays as possible often won against more sophisticated strategies. We felt that a low-tech green unit didn’t deserve to be quite as offensively powerful as the old Tantalum Ray was, so we decided to decrease the number of times it could be clicked from 4 clicks down to 3. We considered simply reducing the unit’s HP by 2, but we felt that Tantalum Ray was already somewhat underwhelming in breachproof scenarios, so instead, we’re testing a version with incredibly high HP! We’re interested in seeing whether this creates any new breachproof gameplay. Redeemer: Cost changed from 8GGB to 10GB. We’re almost entirely satisfied with the player 1/player 2 balance in Prismata at the present time, but Redeemer is the one outlier that makes us feel that a change is necessary. 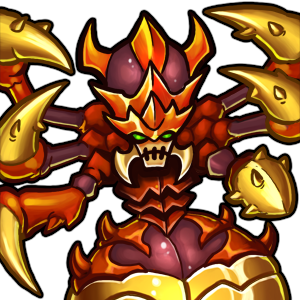 Over the last year, Redeemer was the most player-2 favouring unit in Prismata in non-blitz games at the 1850+ Elo level. We felt that certain rushes (particularly lines like DD/DDC/DDB/Redeemer for player 2) were frequently difficult to defend against for player 1, due to a combination of Redeemer being quite strong, as well as the unit fitting conveniently into a number of common player 2 openings. We’ve decided to address both of these issues by making the unit slightly weaker and slightly more awkward to purchase early. Lucina Spinos: Click ability now costs [pay R and sacrifice a Drone] instead of [sacrifice a Drone]. Lucina was the most requested unit for a nerf. Rushing the earliest possible Lucina was often good enough to win, and we felt that the unit needed to run out of steam more quickly. The addition of R to Lucina’s click ability cost makes it harder to continue pumping out Perforators while simultaneously attacking with a force of them, making Lucina rushes easier to defend against. Centrifuge: Cost has been reduced from 9 to 5. Resources generated by the unit have been reduced from 12GGBBRR to 3GGBBRR. 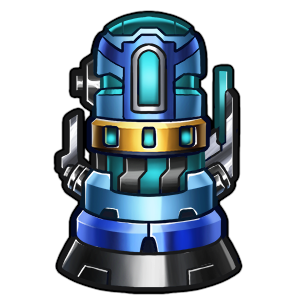 Centrifuge was one of the most frequently bought 1-supply units in Prismata, and it was often rushed on extremely early turns to force out powerful units like Odin and Lucina Spinos. We wanted to reduce the effectiveness of these tech rushes and provide a wider variety of viable timings for the unit, so we’ve substantially reduced the amount of gold it provides, making it much more awkward to spend all of the coloured resources provided by the unit. Early Centrifuges are still possible, but they often result in wasted blue or red resources. This change doesn’t really affect the raw economic power of Centrifuge (5 gold for 11 gold worth of resources is only 1% worse than 9 gold for 20 gold worth of resources), but it makes the unit much less of an “auto-buy” in most opening situations. Savior: No longer Fragile. HP reduced from 6 to 4. This too was hinted in our April Fool’s patch notes, although many of you rightfully pointed out that a 2HP Savior would be too weak to Apollo. Regardless, we’re actually moving forward with this minor change, which is simply meant to reduce the clutter on Savior’s infopanel and avoid the off-flavour “Fragile” keyword on a colourless unit. It’s something we’ve been meaning to do for a while. Why didn’t you nerf X? We examined nerfs and adjustments for almost a dozen other Prismata units, and while we do wish to pursue the ultimate goal of creating the best possible version of every single unit in the game, we’re also leery of deploying too many repeated or unnecessary changes now that we’re in Early Access and have many new players joining the game. Accordingly, we only chose balance adjustments for this patch when we were highly confident that the change was an improvement over the status quo. We’re still testing a few other changes, and those changes may see deployment in future balance patches, but we want to see how the current set of changes shakes things up first. Wild Drone, Chrono Filter, Apollo, and Deadeye Operative – These units are all a bit quirky, but tricky to change without completely reinventing them. We’re working on some new designs; stay tuned! We’ve been thinking closely about whether we want to radically change some units (as we did for Vivid Drone in the past) or simply retire or “rotate out” a few units from the standard multiplayer pool when we introduce replacements. We’re interested in hearing your feedback on that topic. The Wincer – Wincer has been all of [10GBBR, 9GBBR, and 8GBBR] at various times in the past, and we’ve been happiest with the current 9GBBR version. Several players were concerned about combos like Chrono Filter + Wincer (particularly lines like player 1 DD/DC/B+Chrono Filter/Wincer), but our statistics showed that games involving these two units have almost exactly a 50% player 1 winrate across a wide variety of skill levels. Cryo Ray – Strong Chill units are always controversial among Prismata players, and several of you suggested that we reduce Cryo Ray’s HP from 3 to 2. However, we felt that the current 3HP creates a lot of interesting and skill-testing decisions regarding when to spend Cryo charges, and a 2HP version of the unit felt comparatively dry in testing. Moreover, we want strong Chill units to have a big impact in a certain (small but non-zero) fraction of Prismata games, and we feel happy with the balance right now; weakening strong Chill units will likely reduce the overall level of variety among games. Arka Sodara – Arka is a deliberately undercosted unit because the second player to buy Arka Sodara can often obtain an advantage by denying their opponent value from Arka’s promptness. We looked at an increase to the unit’s cost, but found that it reduced the tension around Arka purchase timings without doing much to change the overall texture of games involving the unit. Odin, Plasmafier, and Lancetooth – We’re keeping an eye on these units, but we aren’t yet confident that we want to make changes. Let us know if you think we should!